What’s he difference between Bosch Rotak 37 LI and Bosch Rotak 370 LI? Should You Buy This Model? The Bosch Rotak 37 LI Ergo-Flex Cordless Lawn Mower is the bigger brother to the Bosch 32 LI and covers up to 100m² more area, has a larger cutting deck (5cm), larger collection box and 3 more cutting heights than its smaller brother. Below you will learn about all the great (and not so great) features of this mower and not only that, this mower is built in the UK. Why dose this matter? well, customer service, warranty, quality and the availability of spare parts are second to none. I would say that it competes very well with the likes of the WORX WG779E.2. They are all very similar in terms of deck size and cover a similar amount of ground but are they all as good as each other?. By the end of this review you’ll know exactly which one to choose for your garden. The Bosch Rotak 37 LI Ergo-Flex is indeed packed with features found in more higher end cordless mowers and certainly has the ability to cut a lawn up to 500 meter square (roughly larger than the size of a tennis court) , but it needs to be compared to it’s nearest rival, the WORX WG779E.2, to judge how good this mower really is. 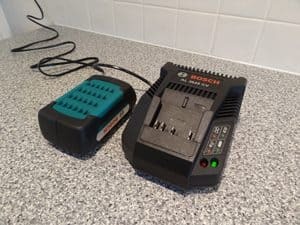 Below I’ll be detailing all the features and functions of the Bosch Rotak 37 LI Ergo-Flex, both good and not so good and then comparing to the WORX WG779E.2 so you understand exactly what you’re getting for your money. Before we look at the batteries on this mower, it’s import to know that Bosch lead the way with lithium ion battery technology in 2007 and continue that development to this day. Like many cordless lawn mowers, the Bosch Rotak 370 LI is powered by a Lithium-ion battery (36V) and electrical motor which it will charge in around 70 minutes each battery (total: 140min). The battery is removed from the mower for charging and storage. 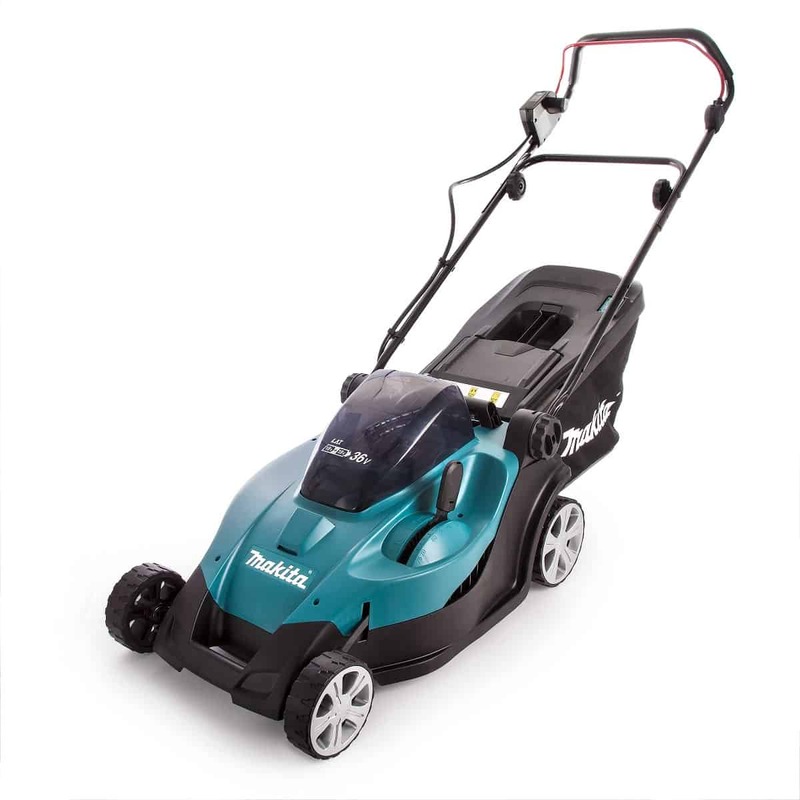 The mower (370 Li) is supplied with TWO 36V 2.0Ah batteries that are charged and used independently . The Bosch Rotak 37 Li has a single 36 V 4.0Ah battery and charges in around 140 minutes. Bosch Rotak 370Li = 2 X 36 V 2.0 Ah Battery – 100% Charge time = 70 min each total 140 minutes. Bosch Rotak 37Li = 1 X 36 V 4.0 Ah Battery – 100 % Charge time = 140 minutes. Now, 140 minutes is in itself is a little slow when you compare it to the 120 minutes for its rival the WORX WG779E.2, however the Bosch is capable of charging 80% of the total power (both batteries) in just 70-80 minutes, believe me this is a great feature that provides outstanding convenience to the average gardener. 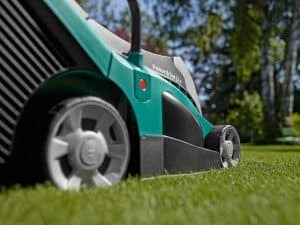 Two fully charged 2.0 Ah batteries or a single 4.0 Ah can mow up to 500m² or around 30-40 minutes run time depending on length and condition of the lawn. Again, this is comparable to the WORX WG779E.2. The Bosch Rotak 37 LI also has a feature they call “Efficient Energy Management” that Bosch claim will extend operational time by up to 15%. This system adjusts the power delivered to the rotary blade to conserve power when not needed. Again a nice feature on a mower at this level. The charge to mow time ratio is really very good for a cordless mower at this price point. Ideally you will choose a mower that has enough run time to mow your entire lawn or lawns, but this mower allows you to have a tea break, recharge the battery in 45min and then continue. If your lawn is less than 400m² then this is not going to be an issue or a feature you will use, but with a 70 min charge time (to 80%) this mower is still an option for larger lawns. Also the power system is completely electric so it produces zero emissions and works extremely quietly. Which is quieter? 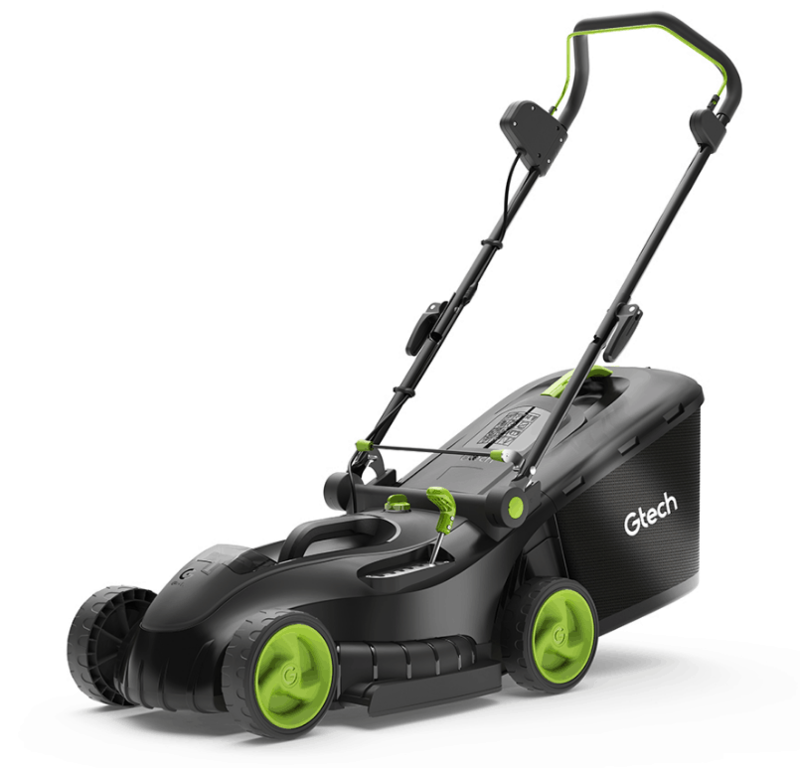 well there’s not much between them but would say the Bosch Rotak is slightly quieter due to the “Low-noise design” that Bosch claim makes there mower barely audible from 10m. The great thing about these mowers is that you can set out to work at any time you want without it annoying you, your family or your neighbours, and with zero emissions look after the environment as well. 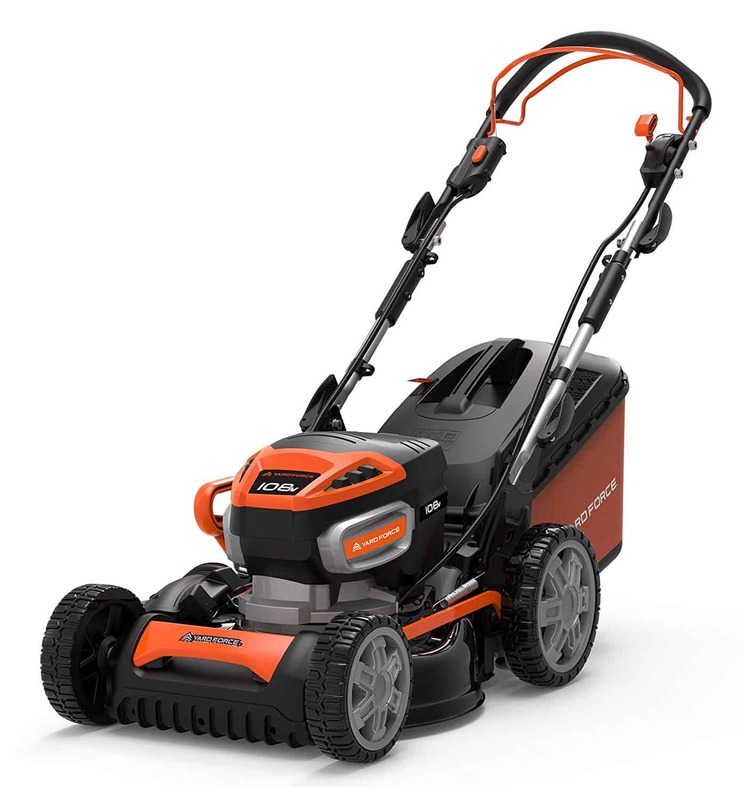 Please note: there is an option to purchase this mower with a single 36 V / 4.0 Ah battery (37 Li), I personally prefer to have 2 batteries than a single 4 Ah battery as it extends the life of the battery as I have a smaller lawn that can be mowed on a single 2.0Ah battery. Larger lawns, 200m² – 300m² then the 4.0 Ah battery would be a better choice and somewhat cheaper. This mower can be assembled in around 10 min and is relatively simple with no tools required. 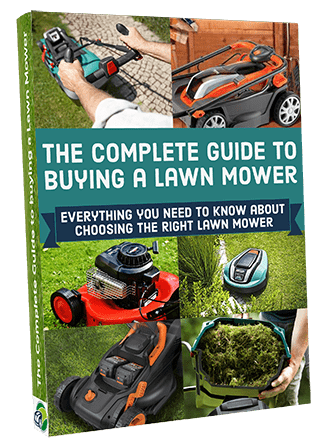 The instruction manual is a little short on instructions and relies on pictures to guide you, this can be a little difficult if you have not assemble a mower before. 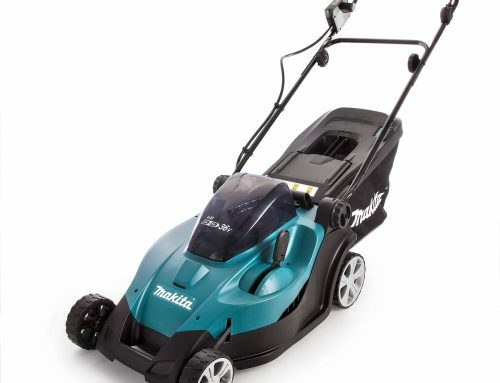 The 370Li is the version of this mower with two 36V 2mAh batteries, while the 37Li has ONE 36V 4mAh battery. The machine has the same design and features as the 37 Li. The 37 Li can also hold a 4 mAh battery. This mower can also be purchased without batteries. The newer Bosch Rotak 370Li has a black front/lid and the older 37Li has a silver front/lid. Metal blade generally wear less quickly than plastic blades which results in you needing to replace the lawnmower blades more often than a lawnmower that uses a metal blade. Metal blades are generally sharper and provide a cleaner cut to the grass blade, resulting in a neater, tidier and superior finish to your lawn and garden. The metal blades on the Bosch Rotak can be sharpened when needed unlike plastic blades. This again does not necessarily put it ahead of competitors but it’s good that Bosch have taken advantage of what is clearly the most effective cutting system in the market. As well as being able to sharpen the blades, it is also possible to purchase a replacement blade. Replacing the blade is relatively easy for anyone with basic DIY skills and tools. In order to combat the changing season and to continually improve the look of your lawn, you can adjust the height at which the Bosch Rotak 37 LI cuts at. This is done very easily using the lever located at the central side of the mower. It lets you choose to cut from anywhere between 20–70 mm with 6 separate cutting lengths. Just make sure you don’t set it at the shortest setting from the when the lawn has significant growth, instead start at a much higher setting and gradually work your way down. This gives the areas of small grass to catch up with the long, resulting in a more even garden. Having said that this mower does come with a built in comb that helps prevent scalping your lawn if the setting is a little low or there is an uneven patch. This is a nice touch not found on other mowers in the class. The comb also helps to ensure you get a good cut right up to the edge along flower beds, fences and walls. Centrally mounted height adjustment levers are always easier to adjust than front or back mounted ones, this Bosch does not disappoint, and with 6 height adjustments this beats it’s smaller brother (32 LI) with only 3 height adjustments. How does this compare to the WORX WG779E.2, well they are exactly the same, so near clear winner as yet! 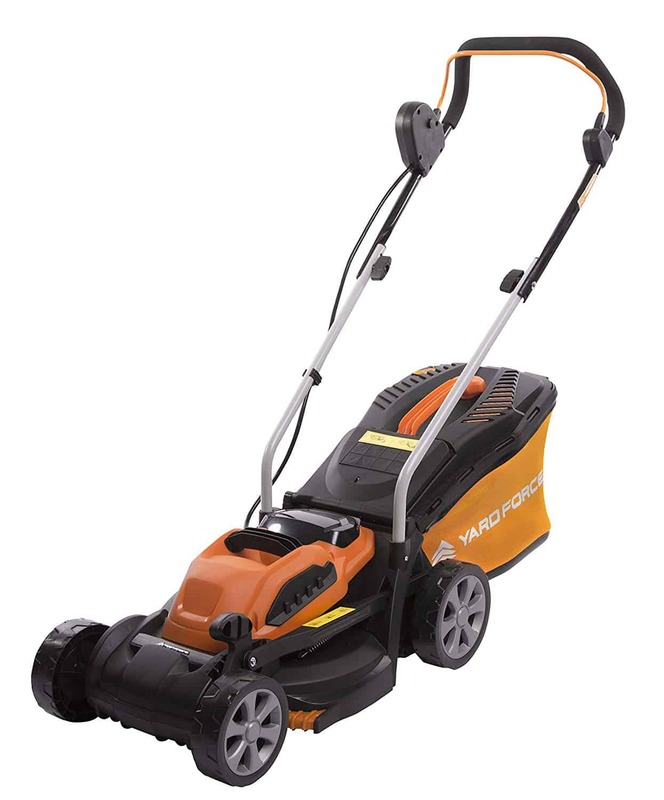 The cutting diameter of the mower may seem a little on the small size with only a 37cm mowing capability, but that is 3cm larger than its rival the WORX WG779E.2 (34cm). Now, compared to it’s other counterparts with widths of up to 43cm, this might be a potential disadvantage; however, it could also be beneficial if it’s to be used in a smaller areas and lawns with more narrow strips. 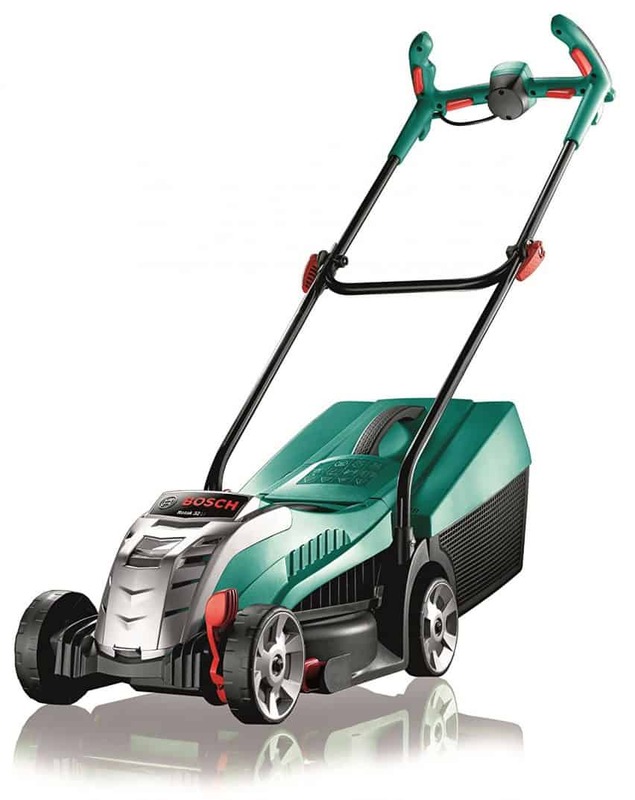 Bare in mind that the Bosch Rotak 37 LI is the middle brother between the 32cm of the Bosch 32 LI and the 43cm of the Bosch 430 LI mowers, so this may just be the middle ground sized mower you’ve been looking for. 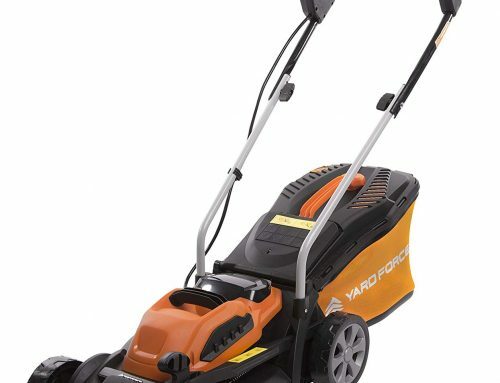 When you need a mower that’s light in weight and going to get in the smaller areas of your lawn, but not too small for your lawn size, this may well be the best option. 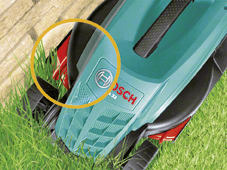 As mentioned above this Bosch has combs on either side that guide the grass into the path of the blades, meaning you really are getting the full 37cm cutting diameter and reduces the amount of trimming around the edges when the mowing is done. Another nice design feature is the width of the front wheels are smaller than the back, agin making it easier to get up to the edge cutting. Like a stripey lawn? Well good news! like its smaller brother the 32 LI the Bosch Rotak 37 LI does have a roller for a nice stripey lawn. 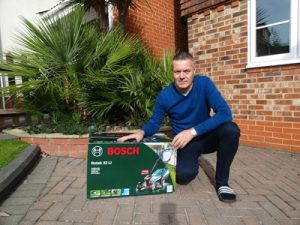 As with all smaller cordless lawn mowers the grass box is not going to hold as much it’s larger counterparts, however 40 litres is a comparable for a mower of this size. 40 Litres allows longer periods of use without needing to empty grass clipping as often. The grass box on the Bosch Rotak 37 LI is very well engineered and very easy to remove, the grass clipping empty from the box with no obstructions. There is no fill level indicator on the grass box. Now, what sets this mower out above the rest is the incredible performance in collecting 99% of the grass clippings. Does this make it better than the Worx? Well, no not really as the Worx also performs extremely well collecting the clippings. The Bosch Rotak 37 LI will not disappoint when it comes to collection and emptying of the grass clippings. The grass box on the Worx is only 30 L, that’s 10 Litres less than the Bosch 37 LI. The Bosch handle design is ergonomically shaped, adjustable and multi-functional allowing for a better body posture and reduced muscle strain. Bosch call this their new “Ergoflex System”. and it really does assist in making mowing the lawn that bit easier. 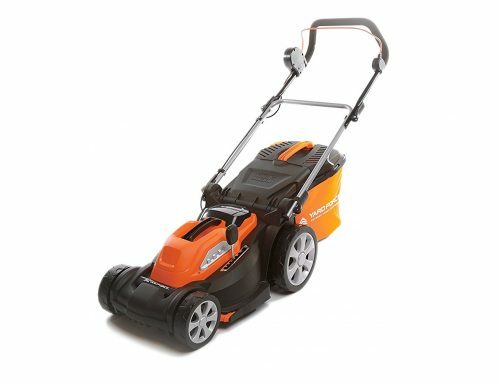 The light weight, small size and fold away handles make this mower excellent for smaller lawns or lawns with smaller strips of grass. There are 4 power buttons on the grip (2 on the upper and 2 on the lower bars) with one central safety release button. Only one button need to be pressed to power the mower making it easy to manoeuvre with one hand round corners for example. This really will make lawn care much easier and really makes the entire experience much less dependent on you struggling with a heavy over sized mower. 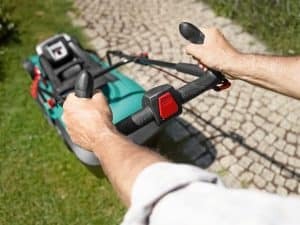 As with all cordless lawn mowers, not being tethered by the cord not only make it easier to mow the lawn, but safer, quieter and more environmentally friendly. Does this make it more practical the it’s closest competition? well, yes I think it does for people with smaller lawns and limited space for storage. There is also a very handy and well positioned central handle that makes carrying the almost 14 kg mower to the garage or shed very easy. The 37 LI has a relativity small footprint.The red clips on the side of the handle are quick release and allows for the top handle to be mobile and fold down. This could be folded inside or out, care is needed not to pinch the wire (which runs from the start button to the motor). Also, there are two quick click buttons at the end of each arm, that allow the whole handle frame to be removed for even smaller storage. This is a nice touch from Bosch as most other mowers (including the 32 LI) are secured by screws and require tools to remove. This mower comes with a 2 year warranty with Bosch. 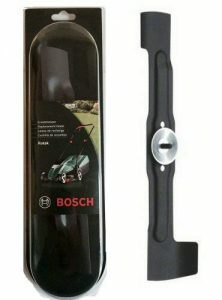 But you can extend it to 3 years at https://www.bosch-do-it.com/gb/en/diy/mybosch/login.jsp if registered within 28 days of purchase. What I really like about the Bosch Rotak 37 LI is the addition of a removable safety key that disables the lawnmower to help prevent accidental starting. This is a nice feature not always found on similar cordless mowers that give peace of mind around children. Well there’s good news and bad news! The bad news is this mower does NOT come with a mulching facility out of the box, however there is an option to add mulching functionality by purchasing the Multi-Mulch for Rotak Lawn Mowers. The Multi-Mulch insert can be purchased or you can check current pricing by clicking the button below. This mower can be a little tricky to assemble first time as the instruction show diagrams only and are lacking any written detail on assembly. Now the above may sound trivial and are common to most cordless mowers but should be taken into consideration anyway. They are part of the package and it’s better being aware of them before a purchase than after. 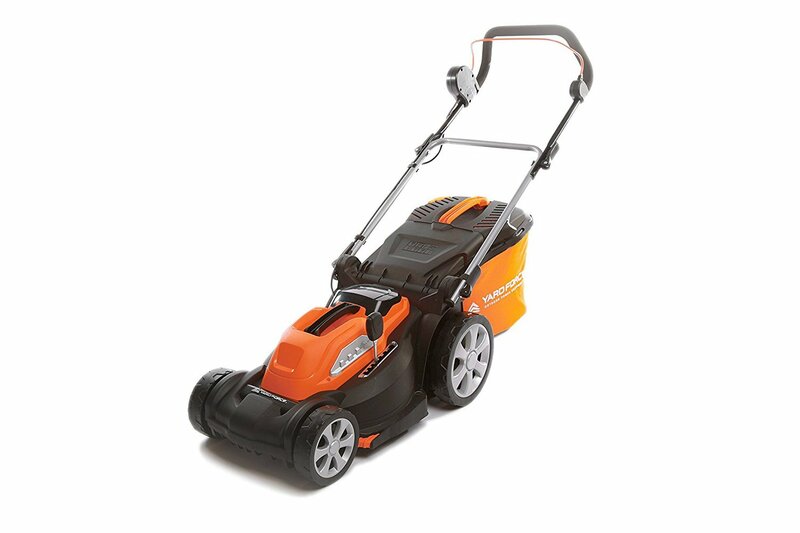 Overall this is an excellent mower, due to it’s light weight, portability, good build quality and array of features. I really struggled to find any major downsides to this mower, it even comes with a 2 year warranty that can be extended to 3 years if you register the mower with Bosch. You simply wont get this with any other manufacture. 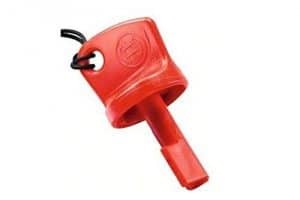 The extra features like the removable safety key is a nice touch but one that you most probably never use, besides you want features that will help achieve a lovely looking lawn with least amount of work and effort. The Bosch Rotak 37 LI is very proficient at cutting varying lengths and thickness for such a small and compact cordless mower. It’s worth mentioning that by cutting more regularly and avoiding very long or wet grass this should avoid not putting too much strain on the battery. Remember to always keep the battery charged and in a dry place over winter. 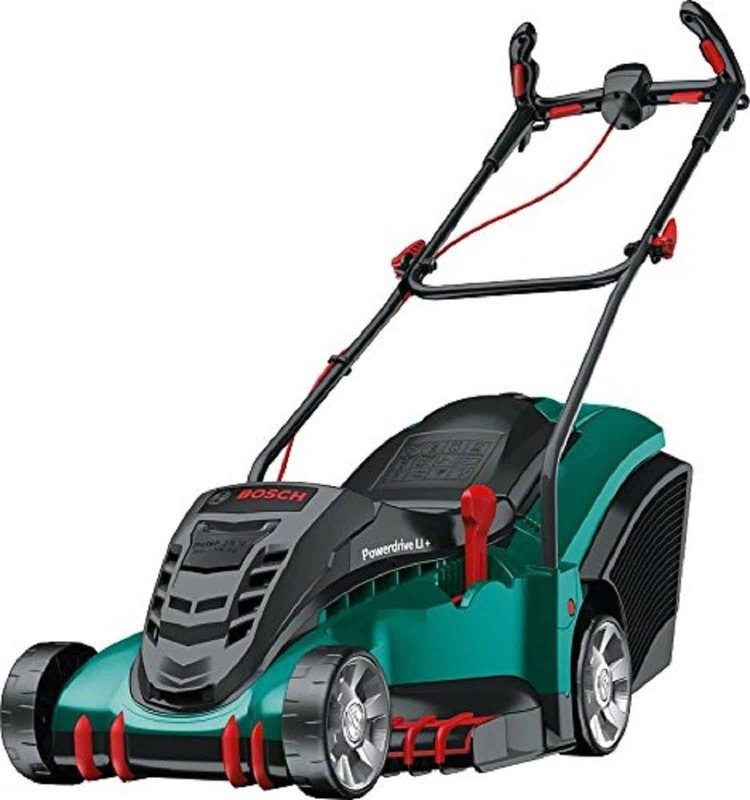 This is not the cheapest mower on the market when you compare the size and battery life to cheaper alternatives, however you are getting a Bosch product and although it may feel a little flimsy the build quality is what you would expect from Bosch. Bosch need to keep the weight of the mower down so are deliberately using thinner plastics etc. Also, the functionality that comes with this mower is fantastic. But do I think it’s better than its closest competitors? 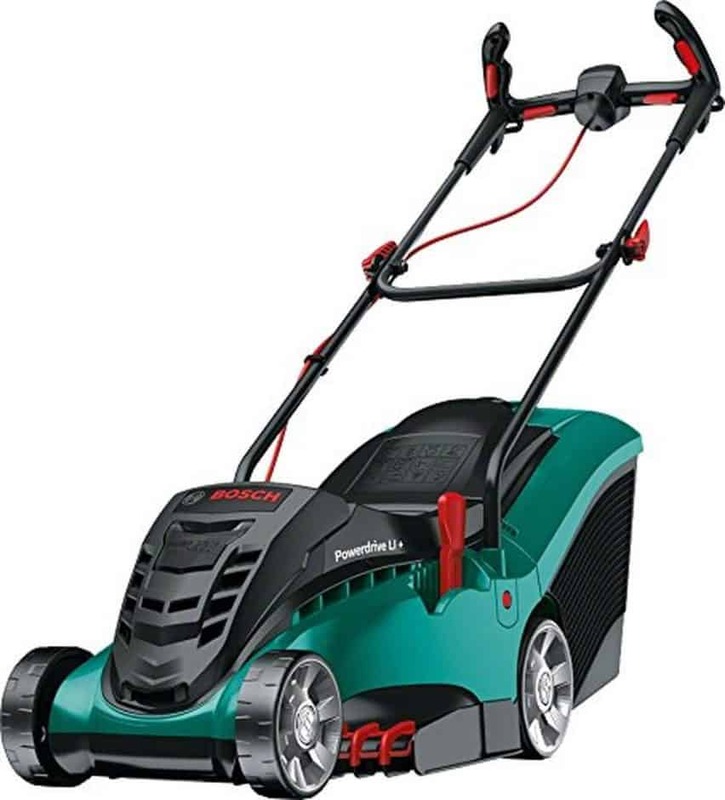 At this price range this really gives great value for money and you would be very hard pressed to find a cordless mower that performs this well, has as much functionality and has such a good build quality for this price. But having said that the WORX WG779E.2 is cheaper and the quality of the cut is as good as Bosch. 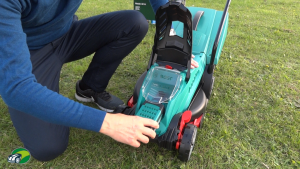 No, the build quality is not up to Bosch’s standards and No, the grass box is not as large but you can insert both batteries into the Worx and both can be charged at the same time. It really is too close call between these two mowers. Both would be equally as good purchase as the other. 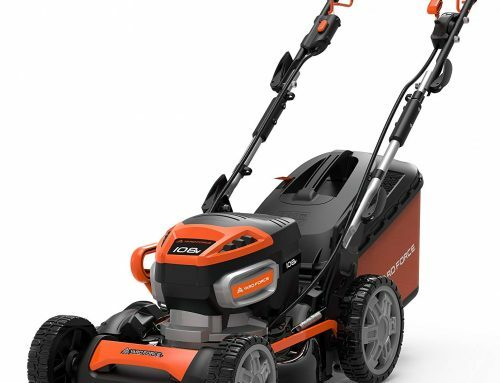 To get the best out of both these mowers you will need to cut your lawn more regularly and not let the grass grow too high or dense as it will struggle to cut it, this is however common with all cordless mowers at this price point and specification. 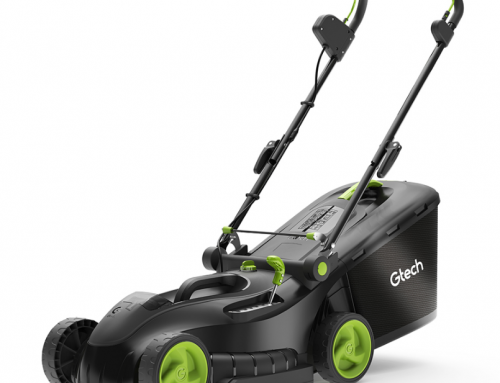 Overall I think the Bosch is a fantastic mower and I encourage everyone with a garden under 500 m² to purchase one. In fact I think it’s the best mower at this level you can get right now! Well there are a few factors to consider first, whether or not you purchase this model really depends on your garden and situation. Their garden is about 500 m² in size. Like the convenience of having no power cord or have limited or no access to a power source in the garden. Their garden is split up into different areas, with smaller strips of lawn. They don’t mind cutting the lawn regularly and not allow the lawn to grow too high. Wants an option for a stripey lawn. Of course this is open to interpretation so if you don’t fall under every single one then don’t worry I’m sure you’ll still love this product. It has loads of great features that I’m sure you make use of even if you’re not its perfect customer. Not sure about this mower? 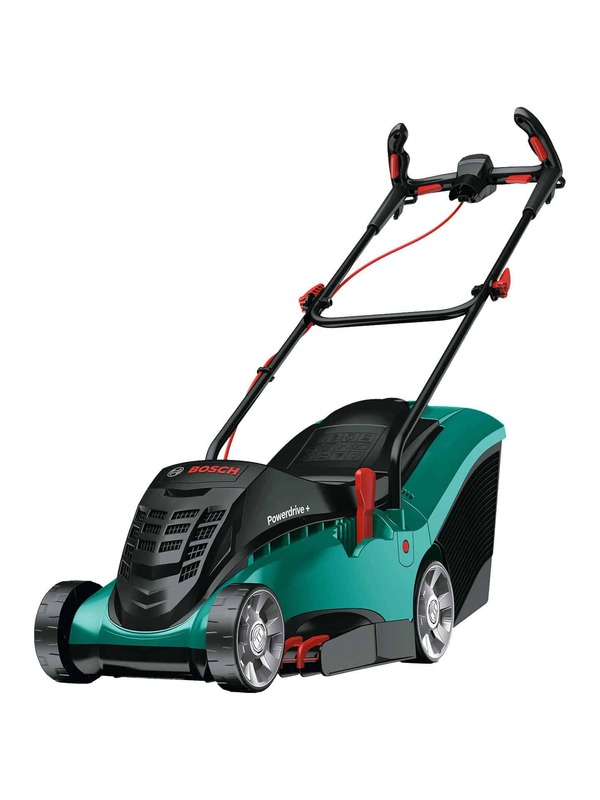 Click here to see more Cordless Lawn Mower Reviews. No roller for a stripey lawn. So my question is does the 370LI have a roller for stripey lawn? My other question is I know there are 2 models, the 37LI & 370LI. I noticed on Amazon that the 370LI is shipped via Amazon, but the 37LI is @ £100 less from Garden Fox, who I have never heard of, with the the 1 x 4.0ah battery. In your opinion is it best have the more powerful 4.0 or the 2 x 2 ah batteries? Thanks so much for pointing this out and sorry for the confusion. The Bosch Rotak 37 LI does indeed have a rear roller and I have corrected the article to reflect this. The 37LI on Amazon is a great price and does make more sense at £100 less. As you say, the 37LI is the 1 x 36 V/4.0 Ah lithium-ion battery and the 370 LI is the 2 x 36 V 2.0 Ah batteries. Which is best?? Well I personally have two 2.0 Ah batteries as my front and back lawns are very small and I can mow both lawns with a single battery. So one of the batteries is not used and will replace the other when needed, preserving the life of the battery. If you have a larger lawn, say 200 to 300m² then the 4.0 Ah lithium-ion battery makes more sense, added to that, it is so much cheaper than the 2x 2.0 Ah batteries. Remember, the batteries alone are around £150 each for the 4.0 Ah with the 2.0 Ah batteries costing around £100 each, so may explain why the single battery 37 LI should be a little cheaper. Anyway, thanks again highlighting this! Great review! Can you guys tell me the weight that is printed on the 37 li mower? I would like to know as I find it unbelievable that the 37 li weights 3 kgs more than the 32 li while the 43 li only weights 1kilo more than a 37 li. Today I saw a 43li which had printed weight 12.8 kg while its catalogue weight is 13.9 kg I guess the latter one is the weight with the grass collector attached. Sorry for the confusion, the official Bosch weights including the grass box are as follows. I believe this is correct as the height adjustment mechanism is different between the 32 Li (front mounted) and both the 37 Li and 43 Li (central mounted). Bosch are sending me their new Rotak 430 Li in the next week or so. I know it is pretty much the same as the 43 Li but I take the time to explain the different height adjustments (and batteries) and I will weight the mower to see if the publish weights marry up with reality. What do you think about Mountfield Princess 38LI Freedom48 as a competitor? 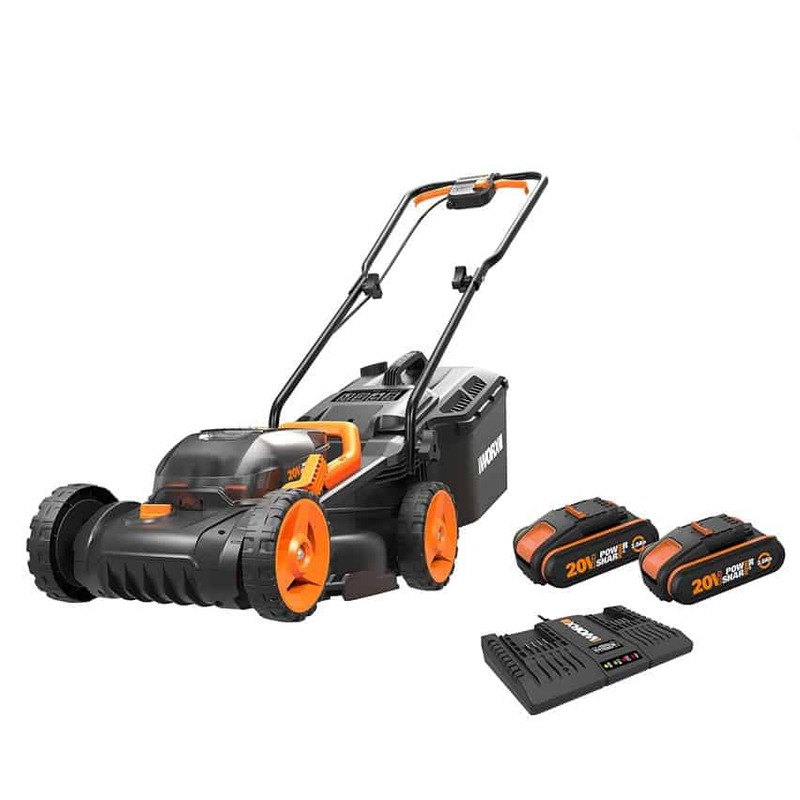 It comes with 2 batteries and a mulching attachment and at £379 seems like a better deal. Is the quality comparable? I just contacted Mountfield to see if they will loan me the Princess 38LI Freedom48 so I can do a full review and do a comparison with the Bosch Rotak. Looking at the specifications the Mountfield Princess 38LI does look very impressive and seems to compare well to the Bosch. I believe in terms of quality they will be very similar as both have a very good reputation for quality and reliability. The Bosch does have the Ergonomic handles and has a 3 year warranty (if registered) where’s the Mountfield has a two year warranty. Both operate at around 90dB(A) Rating. The fact that the Mountfield comes with two batteries that fit other garden tools does suggest that this is better value for money and well worth considering. I hope to do a full review of this mower soon. Apart from grass cutting area, is there any difference between Bosch Rotak 37 Li and 43Li ? And what are your thoughts on a grass mulcher? Does it use up more power? The 37Li and 43Li are pretty much identical apart from the deck size and the grass box size (10 litres larger on the 43Li). No, the mulching will not use any more power and may even save a little as the clippings do not need to be picked up into the grass box. You can compare the different Bosch cordless mowers on the Bosch website on the following URL:-.